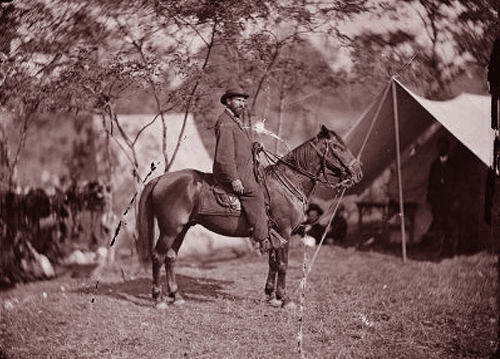 Click here to read another account of Civil War spying. Detective Alan Pinkerton (1819 - 1884) was placed in charge of the Union Intelligence Service shortly after the the Civil War broke out. It was at this post, early in the war, that he was assigned a task by General George McClellan (1826 - 1885) to proceed south of the Ohio River in order to gain a more thorough understand as to the loyalties of those people. Pinkerton first wrote about this mission in in his memoir, "A Spy of the Rebellion".